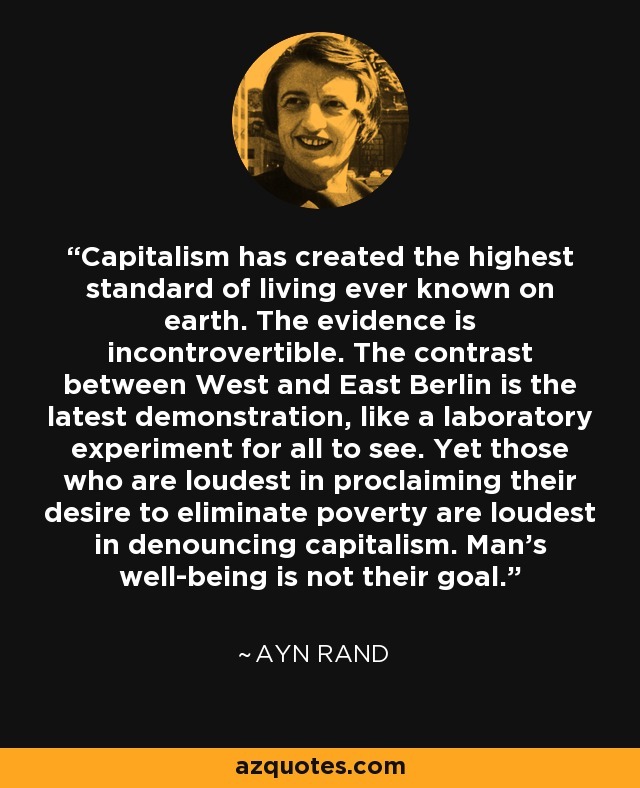 Capitalism has created the highest standard of living ever known on earth. The evidence is incontrovertible. The contrast between West and East Berlin is the latest demonstration, like a laboratory experiment for all to see. Yet those who are loudest in proclaiming their desire to eliminate poverty are loudest in denouncing capitalism. Man's well-being is not their goal.